Did any of you ever have a “personalised” storybook when you were a kid? Some generic anodyne adventure with blank spaces filled in with your name and illustrations where you could only see the back of your head, leaving you with the deflating impression that some golem had assumed your identity and gone off to deliver presents for Santa in your stead? Because my brother and I had a book like that, and when my brother and sister-in-law announced they were expecting, I knew I had to give my future niece a real adventure she truly deserved. 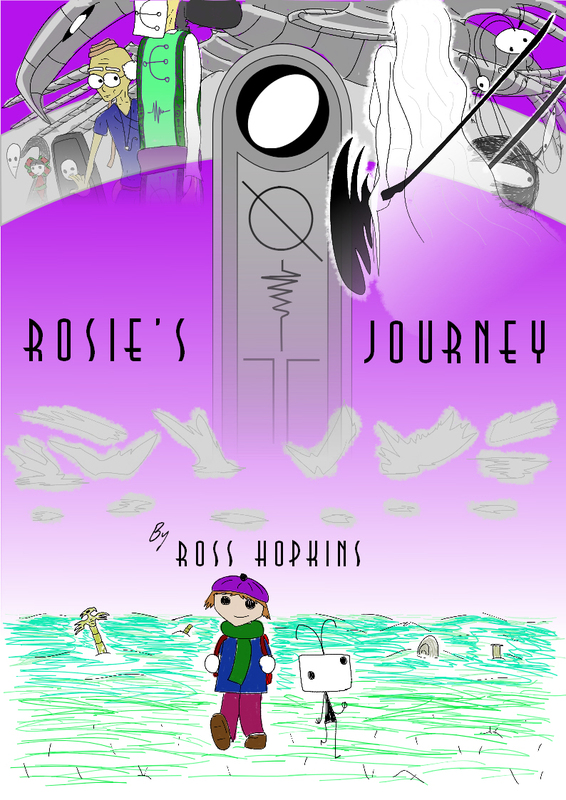 The result was Rosie’s Journey, a storybook in which my niece really is the main character, in a magical journey that actually goes places, involves unique characters and truly says something. This isn’t only a story about wee Rosie but a story about looking past misunderstandings, connecting with others and really communicating. A lesson for youngsters that there’s a big wide world out there to explore and things would be better if we all just got along. If I were to ever make a sequel, it might stipulate that you don’t have a responsibility to communicate with others and it’s okay to shut out irredeemable jerks, but that’s probably a lesson for a more advanced level – ages 3-12 is a bit early to start bashing the fash. Anyway, since Chapter 2 of String will not begin until the new year and you special people need something to tide you over, with the kind permission of my brother and sister-in-law, Rosie’s Journey is now available in eBook and paperback form via everyone’s favourite slave-driving gilded-age monopoly, Amazon! Fun for kids of all ages etc. etc. Don’t worry, work on the second chapter of String is steaming ahead! New adventures for Nancy Brilligan and her luckless sidekick Si will continue next January! If you didn’t catch the fun “soundtrack” playlist I compiled in the last update, you can find it in its permanent home on the Memorabilia page, along with a fancy String wallpaper for your desktop or tablet!